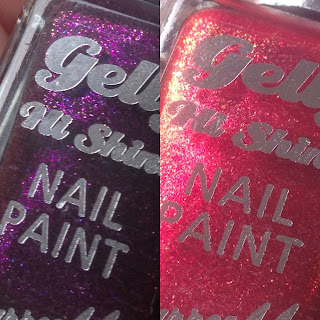 I recently brought Barry M's two new sparkling gelly polishes 'Sparkling Amethyst' and 'Sparkling Ruby', which are both exclusive to Superdrug. These are perfect colours for the upcoming holiday season!! 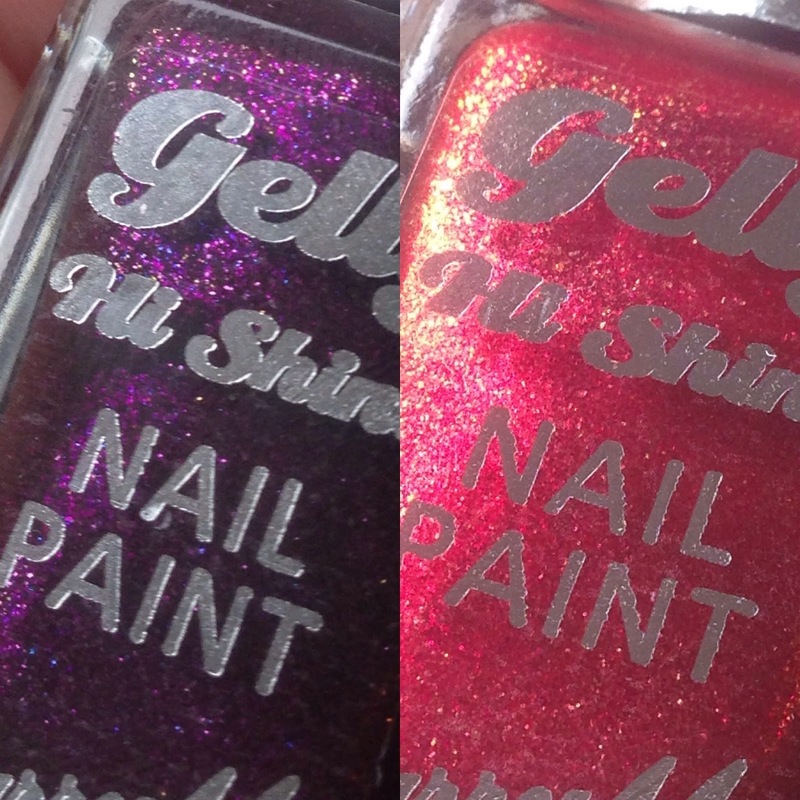 They are the first glitter shades of Barry M's Gelly product line. A deep purple with purple/blueish glitter. A bright red, with gold glitter. Both polishes apply well, wide brush makes application easy. They dry quickly, and with a smooth glossy finish (not gritty). Unlike a most glitter polish, removing these polishes was easier than I was expecting. Lovely shades for winter and christmas. Sparkling Ruby, this is definitely going to be my go-to polish this christmas, it's so shiny and bright, and makes me feel super festive. These are exclusive to Superdrug and are priced at £3.99 each. Superdrug currently have a deal, get 1 of these polishes free if you spend over £6 on other Barry M cosmetics (which is what I did).